Income requirements must be met. Bring in a large box or laundry basket to put food in. Questions? Call Andrea at 814-403-7620. 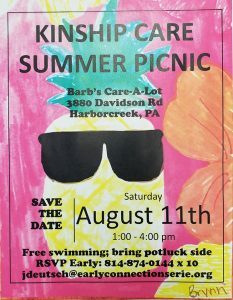 Check out what our friends at Erie Kinship Care are up to! Camp S.M.I.L.E. Begins July 9th, 2018! The UCFSC’s annual summer camp, Camp S.M.I.L.E., will begin on July 9th of 2018! You can register now through June 29th by completing an application from the Union City Family Support Center. We hope to see everyone there! Play Group is Every Wednesday from 10-11 am! Just a reminder that Playgroup is every Wednesday from 10 am to 11 am and every Thursday from 3 pm to 4 pm, and is absolutely free! Snacks are provided, and there are fun activities for kids 0 – 5. 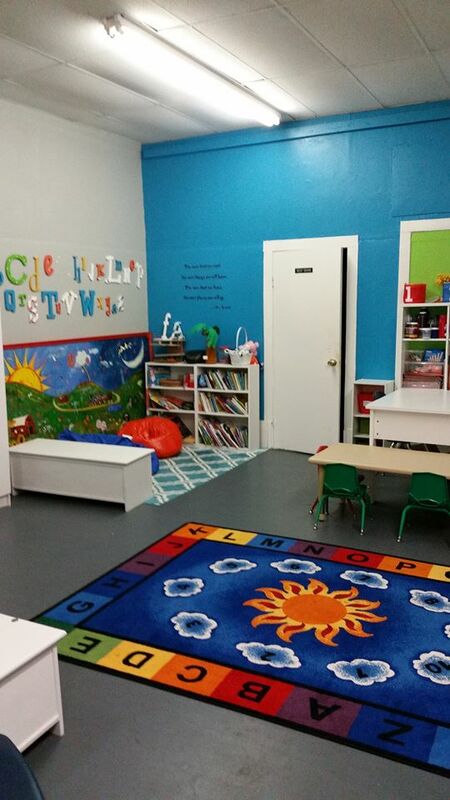 Located at the Family and Community Development Center. Questions or Comments? 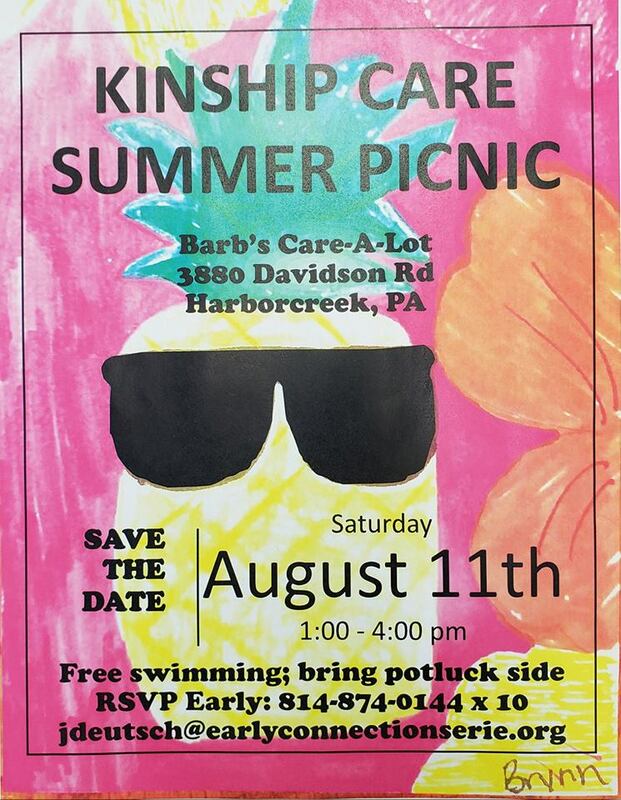 Call (814) – 438 – 7550! 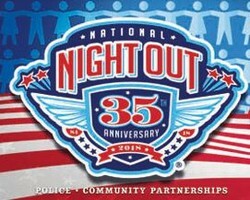 National Night out is Tuesday, August 7th, 2018! National Night out will be held in Caflisch Park on Tuesday, August 7th, 2018 from 6 – 8 pm! The event is FREE of charge, and is hosted by the Union City Police Department, United Way, and Family Support Center. There will be free refreshments, a Chinese Auction, Sawdust Prize Pit, and more! For Questions call the Union City Police Department at (814) 438-3441. 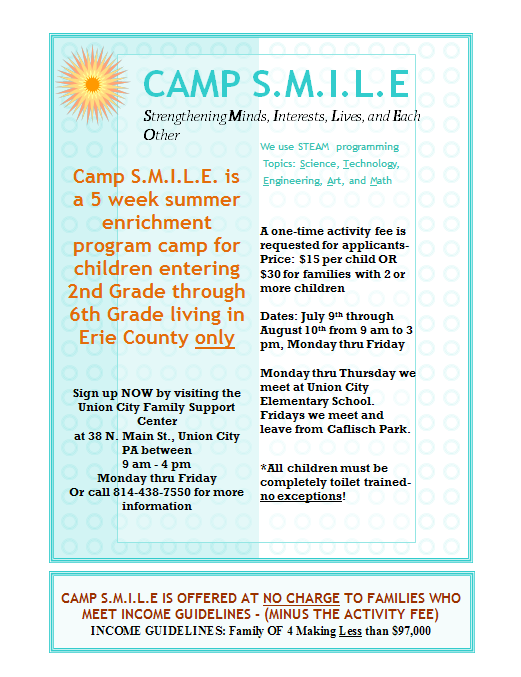 The Camp S.M.I.L.E. 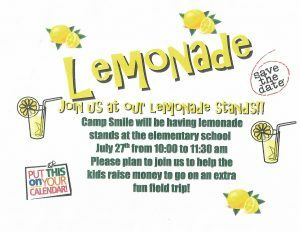 Annual Lemonade Stand is July 26th, 2018! Save the date! 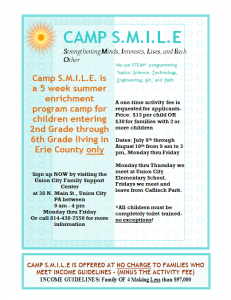 The UCFSC’s Camp S.M.I.L.E. will be hosting a Lemonade Stand at the Union City Elementary School Thursday, July 26th from about 10:30 to 11:30 am! All proceeds go towards funding a special field trip for the kids the last week of Camp!